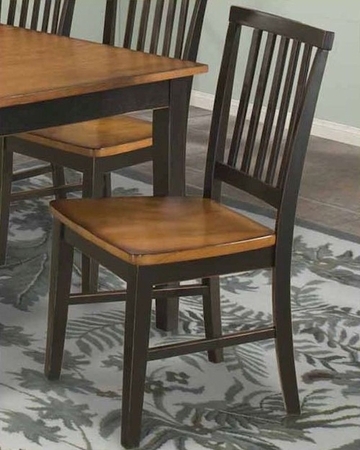 Intercon Slat Back Side Chair Arlington INAR180 (Set of 2). The Arlington Slat Back Side Chair from Intercon is made from solid Rubberwood and finished in Black & Java finish or White & Java. 2 x Slat Back Side Chair IN-AR-CH-180-BLJ-RTA. 2 x Slat Back Side Chair IN-AR-CH-180-WHJ-RTA.